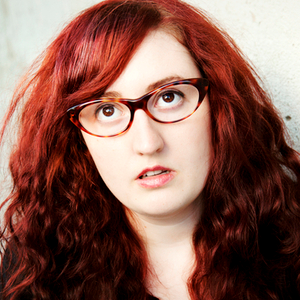 Emily Heller is a comedian and writer who likes you very much. If you watch TV, you may have seen her tell jokes on her own half hour special for Comedy Central, Late Night with Seth Meyers, Conan, The Meltdown with Jonah and Kumail, John Oliver’s New York Stand Up Show, Maron, Inside Amy Schumer, @midnight, Chelsea Lately, or as a series regular on the TBS show Ground Floor. She has been named a “New Face” at the 2012 Montreal Just For Laughs Festival and a “Comic to Watch” by both Variety and Comedy Central. She has served as a writer on TV shows for Fox, NBC, HBO, and TBS, most recently the 2018 Bill Hader series Barry. Along with Lisa Hanawalt, she is also the cohost of the long running podcast Baby Geniuses on the Maximum Fun network. Her debut album Good For Her is available now on Kill Rock Stars. As far as nicknames, she prefers “Hell Bone.“.